Lexus, the luxury division of Toyota, is the largest-selling make of Japanese luxury cars. And for good reason. Lexus autos are a combination of luxury, power, reliability, and class. 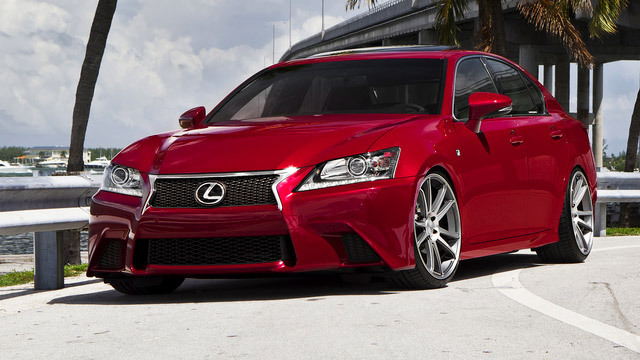 But not just any auto repair shop or any auto mechanic can service and repair Lexus autos. The auto mechanics at JW Auto Care, which serves the Scottsdale and Tempe area, are experts at working on Lexus, using the highest-quality parts and best diagnostic tools and techniques available. With an 11-bay service area, four technicians, including two Master Technicians, and two service advisors, JW Auto Care will be able to get your Lexus in quickly, diagnose any problems, take photos of the problem areas, give you a written estimate, and discuss your options moving forward. The auto mechanics at JW Auto Care are given the best and latest tools to work with, including the latest computer diagnostic equipment, to make sure your Lexus is well taken care of. “The service here is, as always, great! The repairs on my vehicle were done in a very reasonable time frame. Repairs seem to be without fault, the car is running fine and customer service is excellent. I shall continue using J.W AUTO CARE for future service on my vehicles. Excellent!” -- Ed H.
When you bring in your Lexus for maintenance or repairs, you can be certain that the auto mechanics at JW Auto Care in Scottsdale have your safety and comfort in mind and we will do our best to get you back on the road with your car in tip-top running condition as quickly as possible. For auto repairs and maintenance of your Lexus, call us or schedule an appointment online. JW Auto Care is located at 3011 N. 73rd St., Scottsdale, AZ 85251.